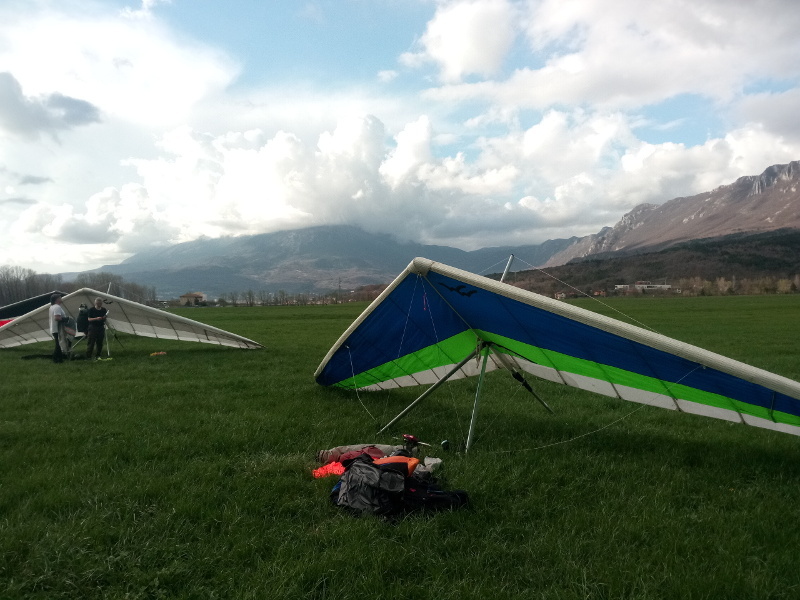 Okay, so that last flying day at Meduno wasn’t very adventurous on the scale of the top pilots, but I was extremely pleased with it; I did just as well as anyone else in our xtc-paragliding (hang-gliding week) group and felt perfectly up with it. Often you come down disappointed, and can watch everyone else from the landing field going higher and further and having more fun, and you’re down wholly because of your lack the skill and competence. But this wasn’t one of those days. Here is the page of everyone’s tracklogs. I was particularly happy with the part of the flight where I maintained my altitude over the flat lands at about 700m for 11 minutes before finally the air currents strengthened enough to carry me up. I had a sense of calm and flow rather than panic and disappointment this time. It doesn’t look particularly low in the picture, but it felt like it. I thought it was rising air from a pig farm I could see below and towards the dry river bed (because it smelled as such) but it couldn’t be as this as it was about 700m cross wind. I had consistently the wrong idea of the wind direction. 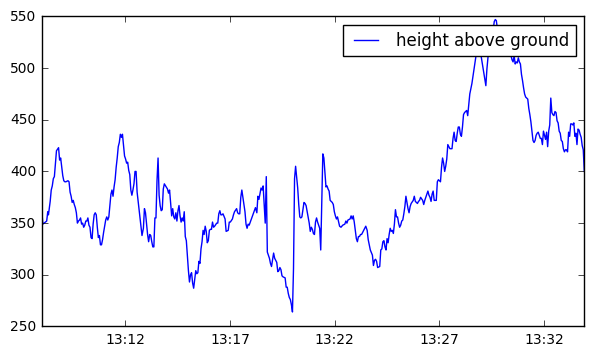 It shows that even with totally mistaken ideas, I was still able to stay with the weakly rising air. At one point I was passed high over a rifle range. The pops of the guns were like tap-taps on my breastbone. I overflew the takeoff at the end of the day and took a photo of this cute pink training glider on the ramp beside the wood pile in the car park. 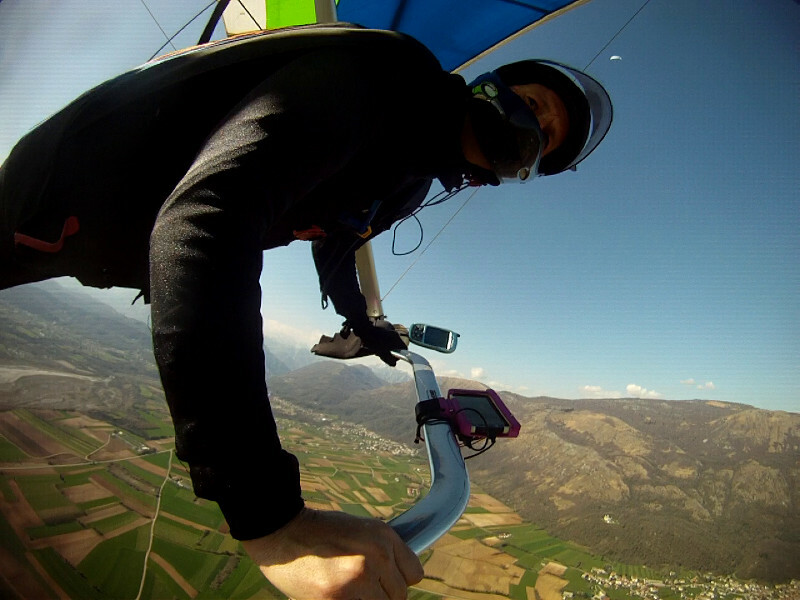 Then I tried to narrate part of my glide down to landing to the camera, which doesn’t work at all with my full face helmet. One of the folks on the hill was SashaZ whose long blogpost about surfskis is what caused me to book my Tarifa trip with Becka. Here are some other pics from previous days. We had some long drives there and back in someone else’s car. 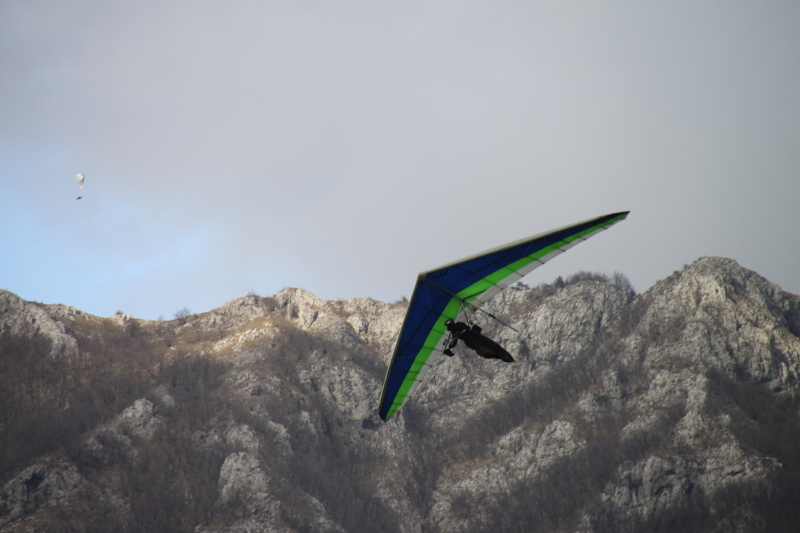 Becka spent the whole time at SpeleoCamp caving, and so this shouldn’t count as a hang-gliding holiday. A heavier than air object with a mass of 100kg wishes to avoid accelerating downwards to the ground under a gravitational force amounting to 10 metres per second per second. As each second that passes there is 100×10 = 1000 kg m/s of momentum that must be accounted for by blowing a volume air downwards at a speed k m/s. Suppose the craft encloses a horizontal area a square metres within which it blows the air downwards at k m/s. In one second this would be ak cubic metres, which, with a density of about 1 kg per cubic metres, is ak kilograms, sent downwards with a momentum of ak2 kg m/s. If the area a was circular, then you could cover it with a circular propellor like a helicopter, and maintain your altitude by blowing the air at sqrt(1000/a) metres per second downwards to counteract the gravity. But imagine the shape of a is rectangular, and instead of a rotating blade, the blade moves horizontally on rails of length v and has a width w. This is somewhat like a wing with a span w flying at a velocity v.
My glider has a wingspan of the order of 10m, and an airspeed of 16 m/s, so the air needs to be blown downwards at a speed of sqrt(1000/(10*16)) = 10/4 = 2.5 m/s. The kinetic energy embodied in this is 1/2 * mv2 = 0.5*160*2.5*2.5*2.5 = 1250 Joules/second. If I weigh 100kg I can generate 1250 Joules from potential energy if I sink at 1.2 m/s — which is about the rate that my glider sinks on a steady glide. This is a story of what needs to happen to the air to keep you up, not how it is done with aerofoils, vortices, induced drag or any stuff like that. 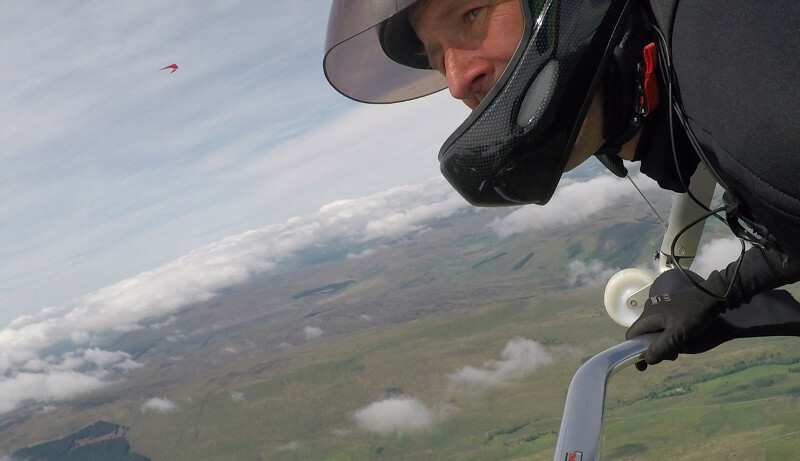 And it also suggests that our lovely gliders have already hit certain limits of what they could physically achieve for their size and speed. One way to get them to go up will be to add an electric motor to give you that extra to get off the ground, or to find a thermal when you’re going down. That ad says they have 24 Ah in their 57.8V battery, which equates to 24*57.8*60*60=5Megajoules. This can maintain a horizontal flight for 27 minutes, which means it’s at the rate of 3000 Watts. That’s about a 50% conversion rate from the battery to powered energy, which is plausible. It also gives a “max summit height” of 750m, which is a budget of 6660 Joules per metre. 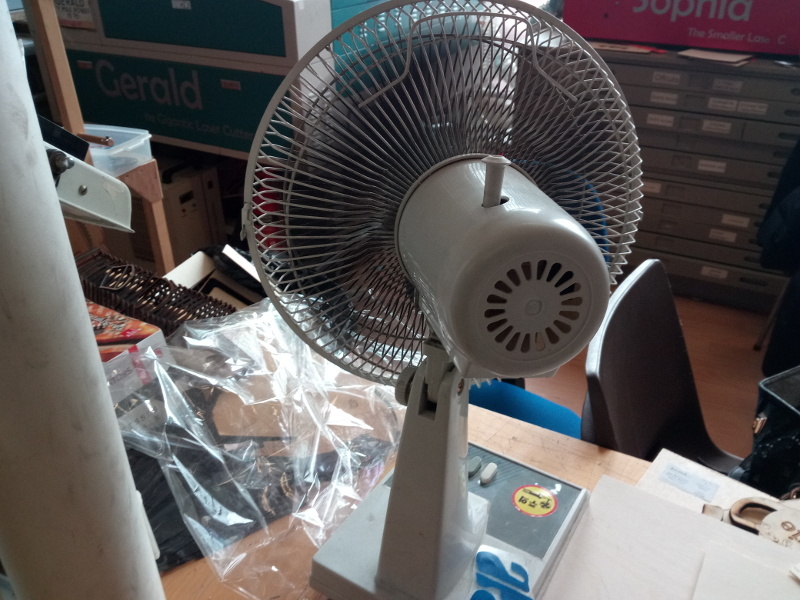 I need to give it 1000 Joules per metre in potential energy, so suppose my climb rate is k m/s then it will take me 750/k seconds to get up there, consuming 3000*750/k + 750*1000 = 5Megajoules which computes to a climb rate of 0.53 m/s over 23 minutes. I can’t afford this stuff. I should be happy with the massive amount that I’ve already got. 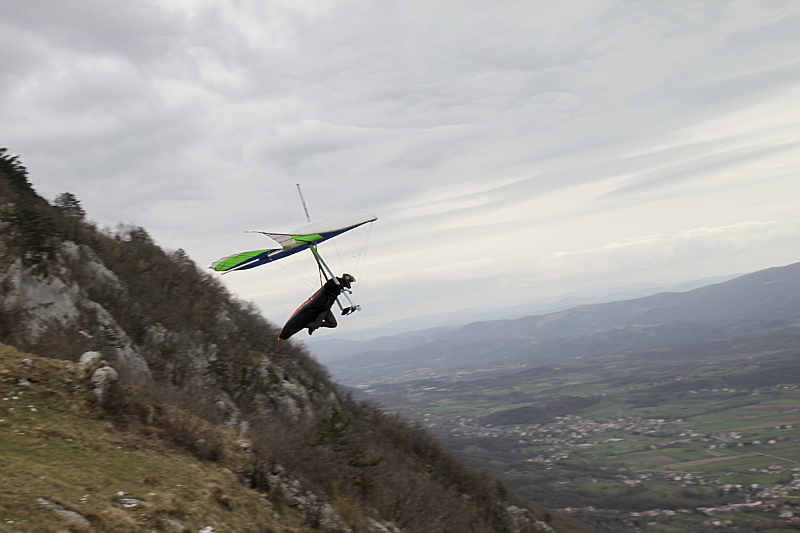 I’ve been deeply not keeping up with blogging on this Slovenia hang-gliding trip. Telegram and Twitter seem to take the wind out of such activities. So maybe this thing is for mainly technical reports. There are a lot of dead blogs out there that only have such things. This blog was started for technical content, and then I began putting all my own activities into it. I’ve been working on this technical thing to do with gliding and tracklogs for so long without any breakthrough that I finally decided I had to start reporting negative results. 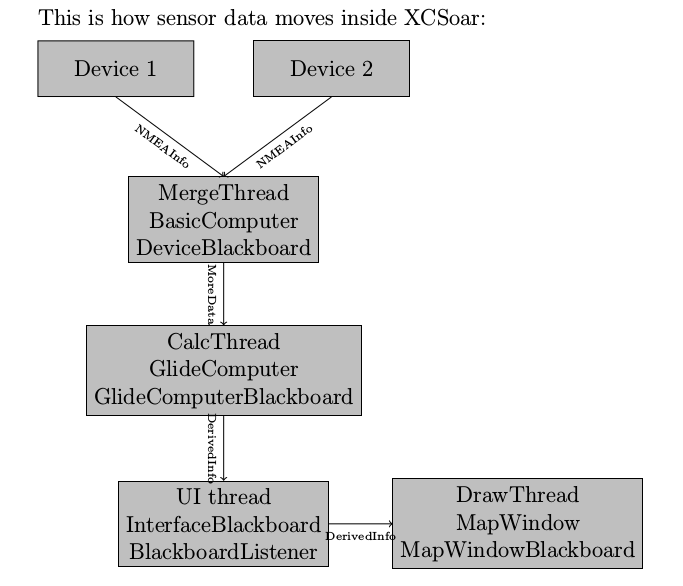 My latest failure was attempting to use a Hough transform to derive wind speed and direction from the 2second interval GPS sample point of a glider flying around in the air mass. 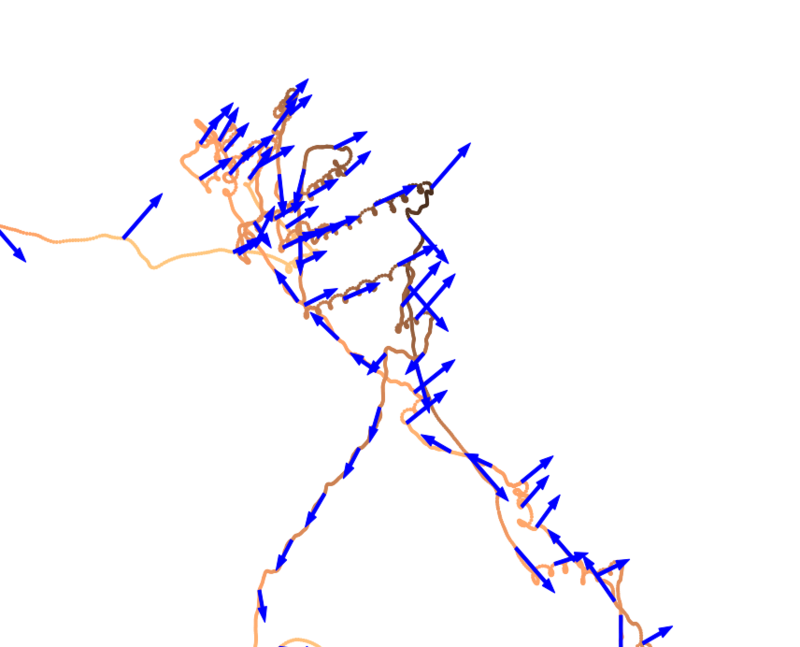 There is no unique solution for w in this equation; the solutions all lie along a line. So if we add some spread and combine the probability fields of solutions for every sequence of three points in the track, then the peak probability will be the best guess at the wind direction. It’s all explained here in this jupyter notebook. After so many failures, I’m much pleased with this result. 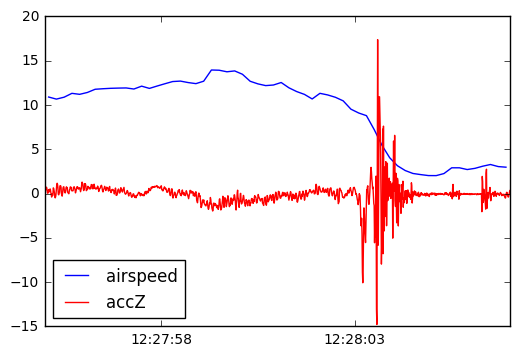 The actual wind was blowing towards the northeast, and the bad guesses are when the glider was on glide and not doing any circles. 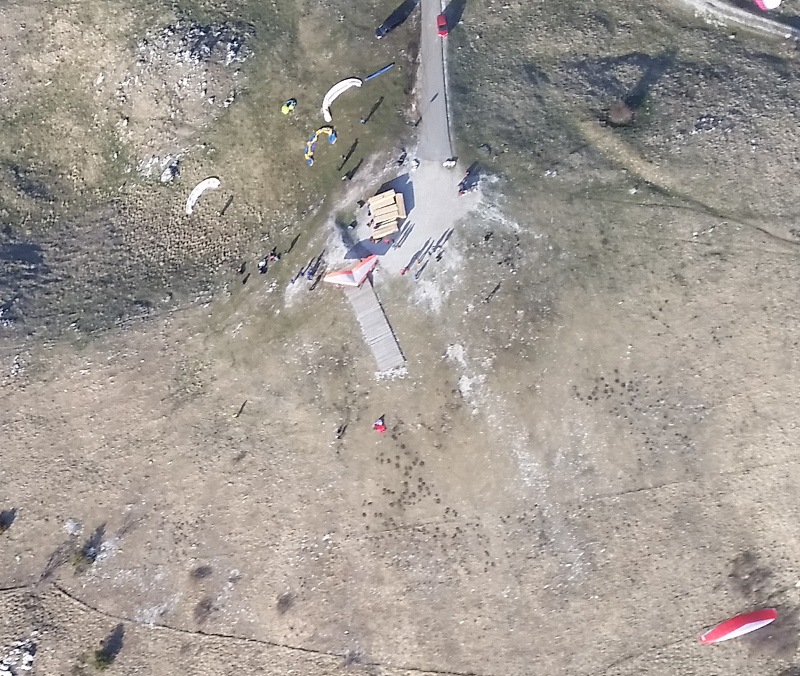 That was from a four hour mega flight all round the three ridges near Gorzia where at one point I got lifted smoothly one thousand metres into the blue sky at the rate of 5m/s. I could see from the capital city inland to the container ships on the Adriatic. Here’s a picture after landing from a lesser flight today where the clouds were pretty low on the ridge. I need to grab some self-portraits from the other folks some point real soon of me taking off, and me landing quite properly on my feet. 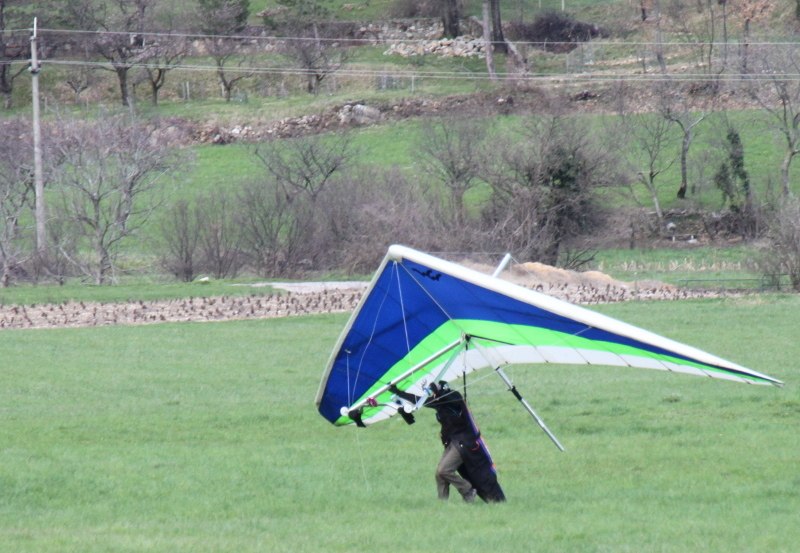 I’m starting to hanker after a new glider, one that’s sleeker and goes faster. This one’s beginning to feel sluggish all of a sudden. I can’t afford anything else now, and it would be quite naughty. And after my spectacular failure of an XC last week on Bradwell, I don’t deserve an upgrade. 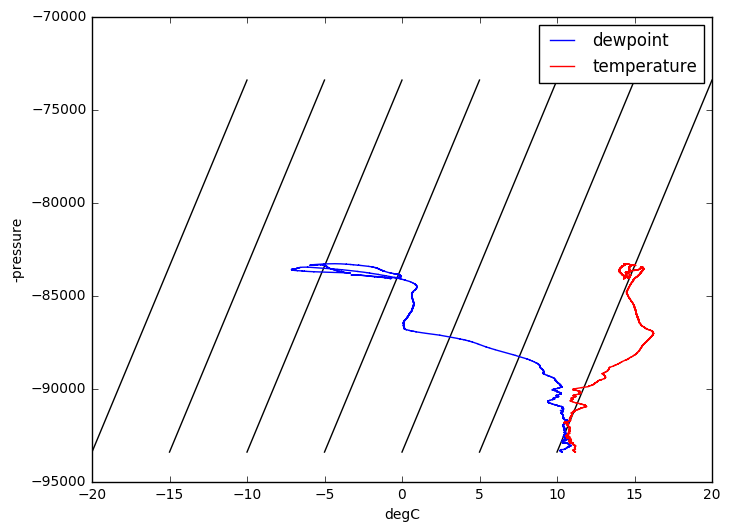 I was able to generate my incomplete Tephigram as before to illustrate the warm dry air encountered way up there. 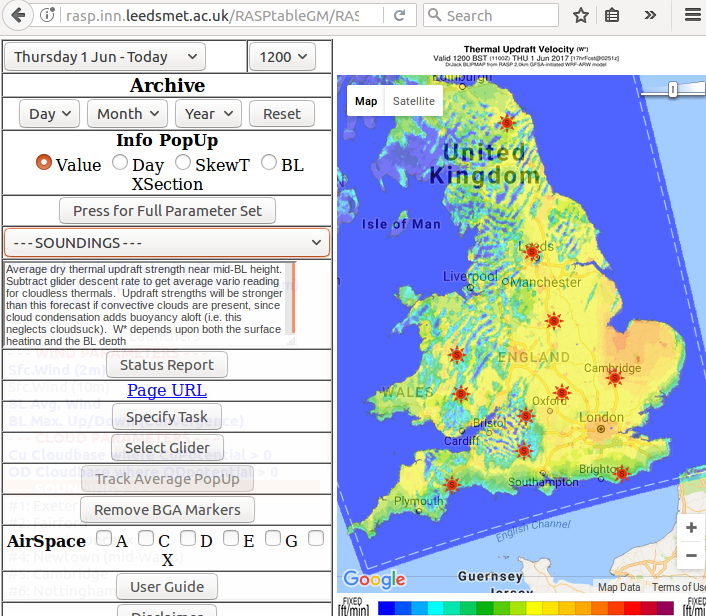 Unfortunately, the fancy Python tephigram software released by the MetOffice doesn’t work for me as it’s designed to plot graphs that go ten times higher in the atmosphere. Tephigram is short for “Temperature” and “Entropy/phi” plot and was invented in 1915. I don’t understand all of it yet. But this science goes back a long way. 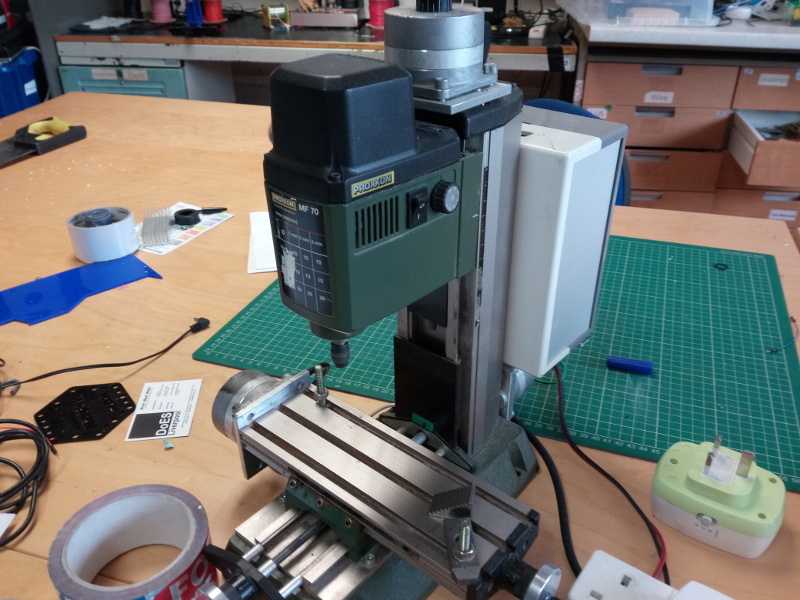 We’ve had fun in the past updating the software on the Sonoff S20 mains adapter plug which has a relay switch and an ESP8266 with enough power to run MicroPython and connect to your WiFi, but I realized that we had to go further. Not only is the software on these mains plugs inevitably out of date for your latest networked IOT needs, requiring you to immediately replace itin order to make it do clever things, but the microcontroller itself won’t be any good. What if you want to use a Raspberrypi, an Arduino or an ESP32? 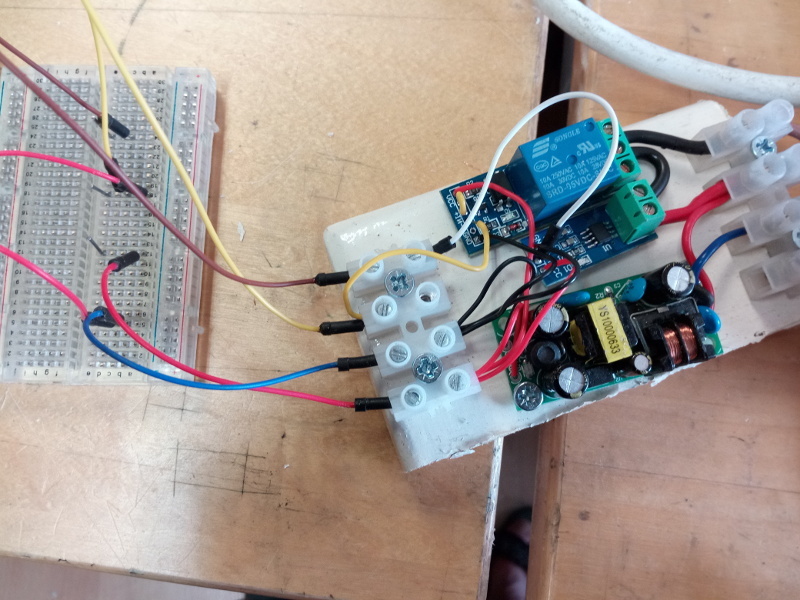 So I got Tom to design a cheap componentwise mains switch with four wires: Ground, 5V power (good for most microcontrollers), Switch-Pin (to throw the relay, which works with 3V), and Current Flow (an analog pin). Don’t worry about the voltage, I said. We know what the voltage is, on a cycle between 0 and 240V which we can sample and add up. Turns out it’s not quite so simple. The ACS712 current sensor reads 2.5V with zero current and goes towards 0V and 5V depending on the direction and magnitude of flow. I tried it with the fan and the desk lamp. 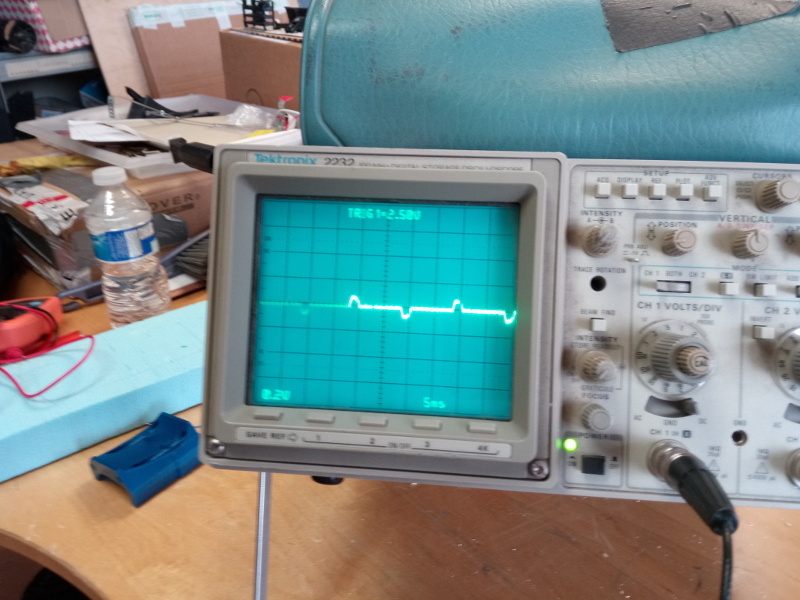 Fortunately we have an oscilloscope in the hackspace. 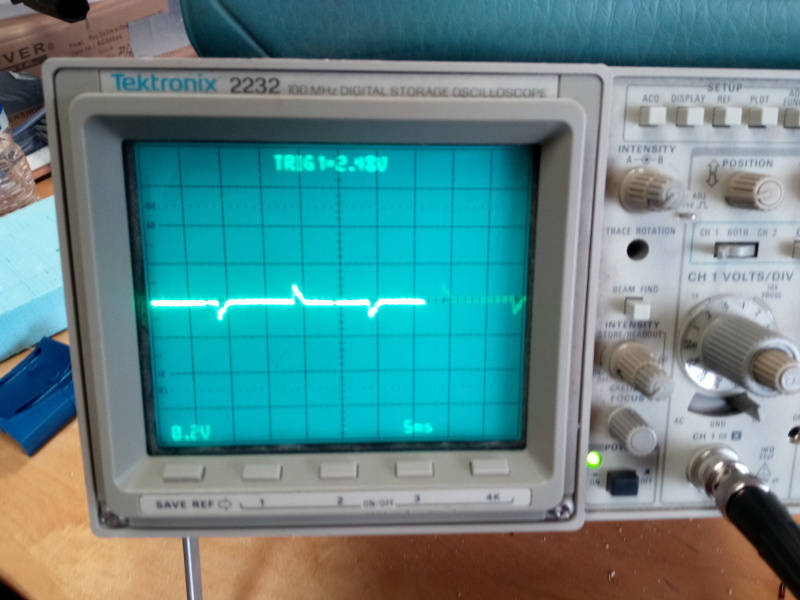 At first I didn’t think it was working, but then it turned out that these devices don’t draw much current. You can see the shallow A/C signal. 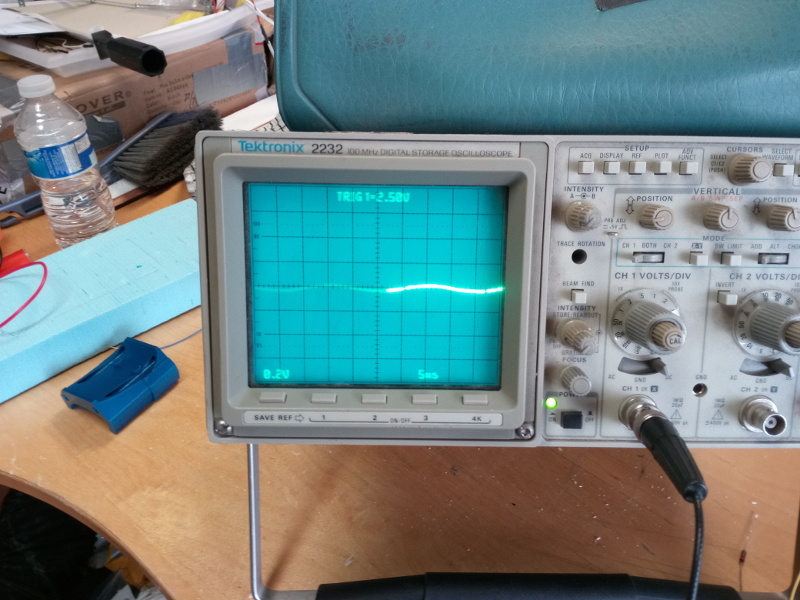 You get a proper big sine wave when you plug in the kettle. And then you get lots of spare hot water and brew yourself a cup of tea. And its trace involved these little humps in either direction. It’s almost as if it’s only bothering to draw current when the mains power goes above 150V. Here is the trace from the computer power supply and the LCD monitor. This seems to pick up current only when it goes below 20V on the return to zero part of the cycle, like it trims off just the tail of the A/C cycle and blocks the rest of the flow. I guess if it was in a 110V power supply it would take a bigger chunk of it. So that shows I was completely wrong. We need to know the voltage, or at least have an interrupt pin the fires when it crosses the zero threshold, wherein we can recreate the cycle using a sine wave. Annoyingly an ESP8266 has only one analog input pin, so we’d need an additional analog to digital converter, but the interrupt pin idea, or one that is up or down above a certain voltage would do the job at the minimum. It does mean we can form an interesting signature of each of your devices. Most electronic devices with switch mode transformers are going to have a fairly consistent pattern of chopping out the waveforms (I wonder what the consequences of this are on the grid), but something more complex like the washing machine will have heating, pumps and spin cycles which ought to be distinguishable. 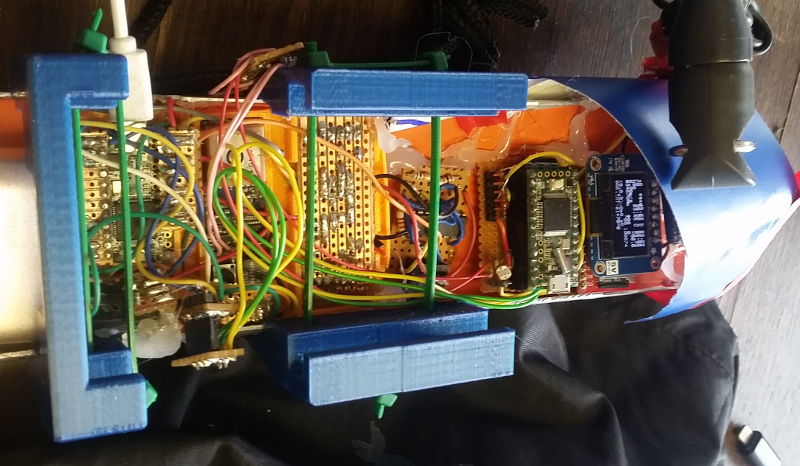 We can put the whole thing into a single package with a modern ESP8266 microcontroller with its 4Mbs of flash memory to keep records in order to find out what’s going on. Smart meters should mean you don’t need to write anything down. Just plug it in, say what it is, and it will build up a table of what it is. Even saying what things are is a pain, so put a disposable RFID onto your appliances and wave the smart socket at it before you plug it in. This product does all the thinking for you and builds up a dashboard of your energy consumption portfolio rather like your pension investment plan — except in this case the numbers are real and you can do something about them. It’s not some fictional investments that are going to be stripped from you at the next engineered crisis in order to cover up for the fact that the whole system is bankrupt. I mean, goddamnit, why is it easier to find out the stock trading price of General Motors Series Z shares in Chicago than the total electricity use of my washing machine on a full cycle? What kind of a misplaced set of priorities do we have here. Let’s get this thing working. I’m getting tired of having “learning experiences” when I really want more “fun experiences”. But in the meantime, here goes. 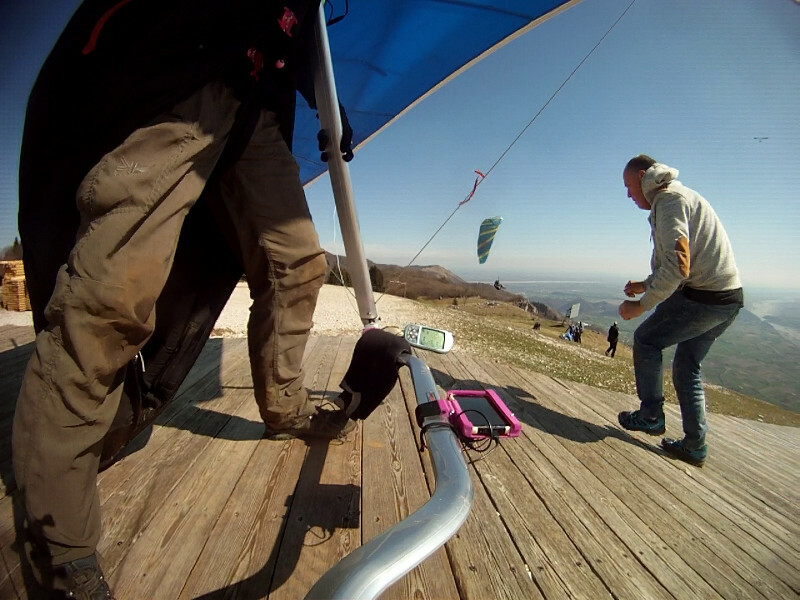 On 2017-04-29 I was at the hang-gliding competition on Camlo hill in Wales, where I didn’t take any thermals over the back — like the folks who knew what they were doing — and I landed back on the top with nil points and little satisfaction. 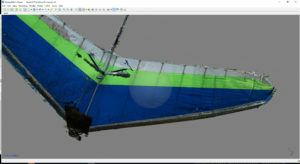 Direction of flight north is to the right (start of flight bottom left near (0,0)), the coordinates are in metres. 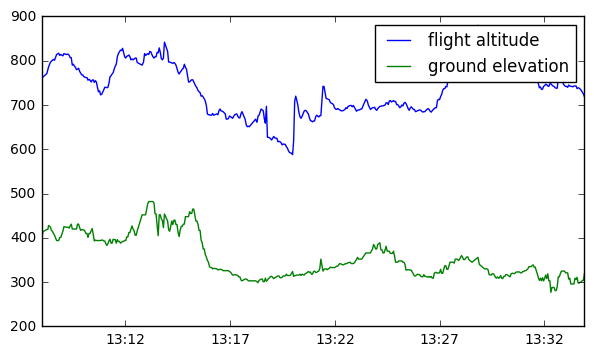 This looks like he was circling with a pretty consistent height of 350m as the air mass was carried up and down over the terrain, in a “bubble” of rising air. Except there is no way this could be a bubble, because even if the bubble extended all the way to the ground 350m below, it would have certainly been been expended in less than 6 minutes at a rate of 1 metre per second to support an efficiently flying glider. After 25 minutes of existence, we can rule out that it has anything to do with any packets of warmed air which may have risen from the ground 12kms to the south. This explanation is bogus. I don’t seem to pick up thermic bubbles that easily along my track, while the pilot that stayed with the thermal reported a continuously existing atmospheric formation which strengthened and subsided, but was always there. I also don’t buy the idea that this structure is somehow kicking off thermic bubbles on the ground 350m below at least five minutes downwind of its track in time to reach his altitude. No, this must be a self-contained, self-sustaining convection structure that may have been initiated by a thermic bubble, but which has clearly morphed into something altogether different.